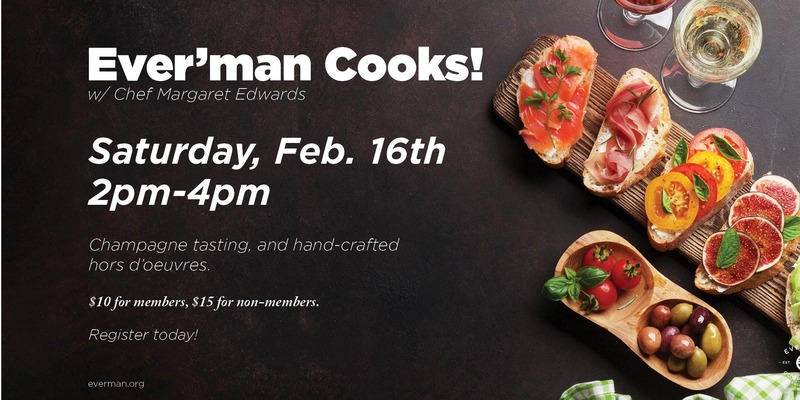 Join Chef Margaret Edwards and learn from an experienced and well-versed food professional as she leads a champagne tasting, paired with hand-crafted hors d'oeuvres Cost: $10 for members, $15 for non-members. Chef Margaret Edwards is a classically trained chef and sommelier, with experience spanning three decades and two continents. Chef Margaret Edwards is passionate about food, nutrition, cooking, and sharing this passion with others.